Phase 2 Dulles Corridor Metrorail Project crews are continuing road widening, lane shifting, utility work, excavation and other construction activities for the Metrorail Silver Line, Phase 2. Lane, shoulder, road and ramp closures will occur along the Dulles Toll Road (DTR), Dulles International Airport Access Highway (DIAAH), Autopilot Drive, Rudder Road, Dulles Greenway, Route 28, Centreville Road, Sunrise Valley Drive and Sunset Hills Road during the week of Sept. 11 - Sept. 17. On Thursday, Sept. 15, 2016, a 10 to 20 minute stoppage will occur between 1:30 p.m. and 2:20 p.m. on the eastbound and westbound Dulles Greenway and eastbound and westbound Old Ox Road in the vicinity of the Dulles Greenway/Old Ox Road interchange. Police will be present for safety. 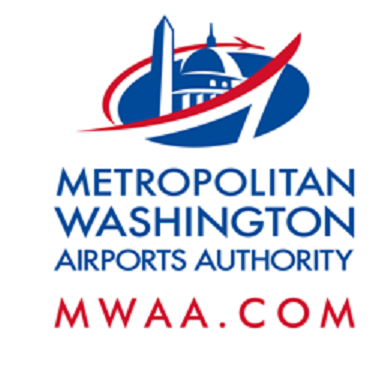 Construction activities on Autopilot Drive and Rudder Road at Dulles International Airport will continue overnight from Sept. 12 through Sept. 16 with various lane closures and detours occurring each night. Drivers should remain alert, pay attention to all signs, and follow police and flagger instructions. All cargo and car rental facilities will be accessible. When: Monday, Sept. 12 - Saturday, Sept. 17, 10 a.m. to 3 p.m. and 9 p.m. to 5 a.m. When: Monday, Sept. 12 - Saturday, Sept. 17, 9:30 a.m. to 3 p.m. and 8 p.m. to 5 a.m. When: Monday, Sept. 12 - Saturday, Sept. 17, 10 p.m. to 5 a.m.
Saturday, Sept. 17 - Sunday, Sept. 18, 6 p.m. to 5 a.m. When: Monday, Sept. 12, to Friday, Sept. 17, 8:30 a.m. to 3 p.m. and 6 p.m. to 5 a.m. When: Monday, Sept. 12 - Saturday, Sept. 17, 8:30 a.m. to 3 p.m. and 6 p.m. to 5 a.m.
Saturday, Sept. 10 - Sunday, Sept. 18, 5 a.m. to 2 p.m. and 6 p.m. to 5 a.m. When: Monday, Sept. 12 - Saturday, Sept. 17, 7:30 a.m. to 2 p.m. and 7 p.m. to 5 a.m.
Saturday, Sept. 17 - Sunday, Sept. 18, 8 p.m. to 5 a.m. When: Monday, Sept. 12 - Saturday, Sept. 17, 9 p.m. to 4 a.m.
Saturday, Sept. 17 - Sunday, Sept. 18, 10 p.m. to 8 a.m. When: Monday, Sept. 12 - Saturday, Sept. 17, 9 a.m. to 2 p.m. and 6 p.m. to 5 a.m.
Where: From the ramp from the westbound DIAAH to Ariane Way/Blue Lot access road. Ramp to the Green Lot will be closed from 8 p.m. to 4 a.m. Traffic will be directed to use next entrance to Economy Parking. When: Monday, Sept. 12 - Saturday, Sept. 17, 9 p.m. to 5 a.m.
Saturday, Sept. 17 - Sunday, Sept. 18, 10 p.m. to 5 a.m. When: Thursday, Sept. 15, between 1:30 p.m. and 2:20 p.m. When: Monday, Sept. 12 - Saturday, Sept. 17, 10 a.m. to 8 p.m.. When: Monday, Sept. 12 - Sunday, Sept. 18, 8 p.m. to 5 a.m. When: Monday, Sept. 12 - Saturday, Sept. 17, 6 a.m. to 3 p.m. and 8 p.m. to 6 a.m.
Saturday, Sept. 17 - Sunday, Sept. 18, 6 a.m. to 8 p.m. When: Monday, Sept. 12 - Wednesday, Sept. 14, 8 p.m. to 4 a.m. When: Monday, Sept. 12 - Thursday, Sept. 15, 9:30 a.m. to 3 p.m.
Friday, Sept. 16, 9:30 a.m. to 12 p.m.